The only European member of this genus is instantly recognized due to the peculiar structure of its gilled hymenophore (see the illustrations below). 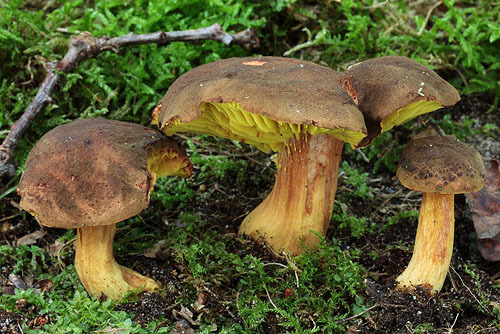 Molecular studies show that P. pelletieri is closely related to the xerocomoid boletes around Xerocomus subtomentosus. For purely practical purposes it is here retained in a genus on its own. 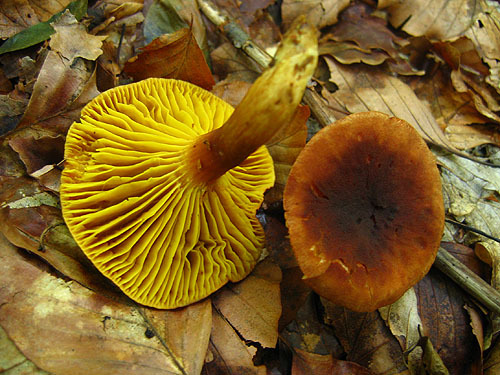 Cap up to 8 cm, at first hemispherical then expanding to convex or flat, brick-coloured, brown to reddish brown, at first velvety, then glabrous. 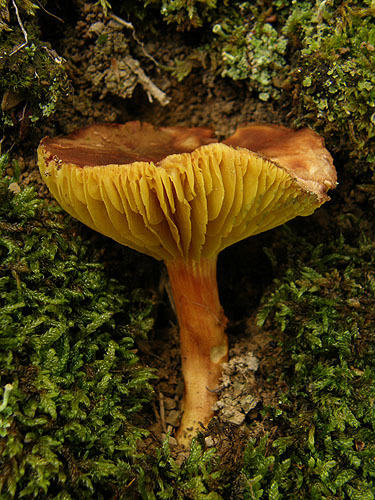 Stipe cylindrical and usually tapering towards the base, yellowish, in various degree covered with very fine reddish to reddish brown granules. 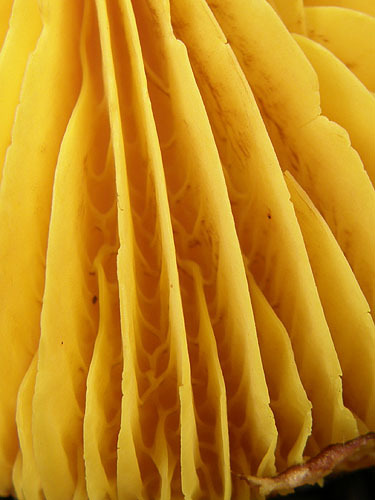 Flesh yellow or yellowish, under the cuticle pinkish to brownish red, unchanging when exposed to air. 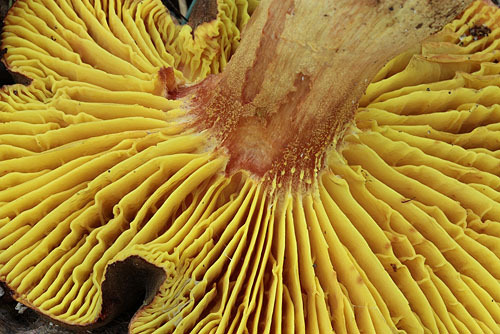 Gills thick, waxy, interconnected with transverse connections, bright yellow. Smell not distinctive. Taste agreeable. 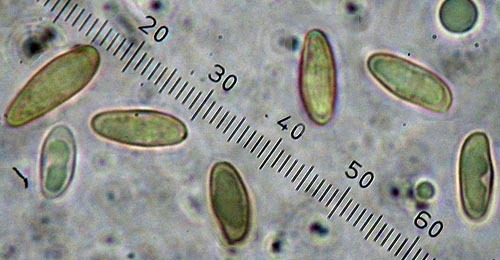 Spores 10–14.5 × 4–5 μm. Habitat. 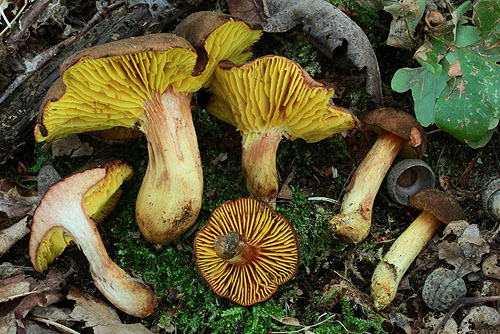 Coniferous, mixed and deciduous forests, mycorrhizal with presumably both conifers and broadleaf trees. Distribution. 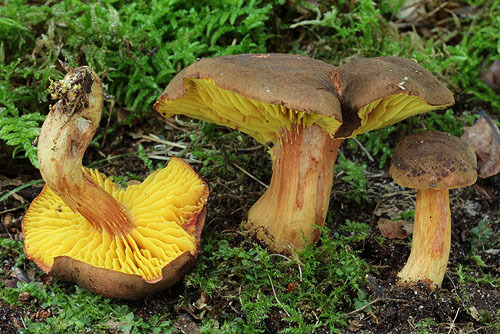 Widespread throughout Europe, but more or less rare. The first known illustration of Phylloporus pelletieri. 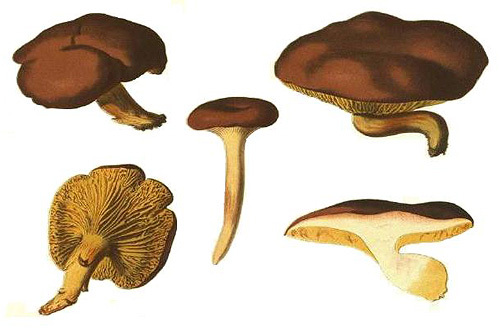 It was published in Kalchbrenner & Schulzer's Icones Selectae Hymenomycetum Hungariae and accompanyies the original description of Agaricus paradoxus, a synonym of P. pelletieri.